What is Sugar Alcohol? What is Sugar Alcohol? A little polyl goes a long way. Wait...what? If you’ve recently put yourself on a low carb diet, or alternatively, you are just trying to cut sugar out of your diet entirely to promote better health and possibly lose some weight, one thing that you may have come across in some of the foods you’re eating are sugar alcohols. But what exactly is sugar alcohol? And, is it something you should be eating? then what does the “sugar” pre-fix here mean? Let’s go over the key points to know and remember about sugar alcohol so that you can make the decision about whether this is something you want to be putting into your body. Sugar alcohols are essentially sweeteners that have been developed as a means to replace refined sugar in a processed food product. This in itself should be a warning sign. The fact that they are found primarily in processed foods should tell you you would be best off without them due to the fact that you should be removing all processed foods from your diet as much as possible. They are designed to replace sugar and are a form of carbohydrate called polyols, which have a chemical structure similar to sugar, but which also resembles alcohol. When you see the terms maltitol, sorbitol, mannitol, isomalt, and xylitol listed on a food ingredient label, these are all sugar alcohols.Some sugar alcohols occur naturally in plants (such as sorbitol and mannitol.) German chemists discovered the naturally occurring xylitol in the late 19th century in birch tree bark, and since then, it’s also been naturally found in fruits and vegetables. Most are manufactured from sugars and starches, so are not entirely processed in nature. Sugar alcohols are most commonly found in foods such as chewing gum, low sugar ice cream, sugar-free syrups, baked goods, fruit spreads, and low sugar candies and chocolate. This isn’t the only place they make an appearance however, so reading the nutrition labels on foods you consume will help you better monitor your intake. So why use these sugar alcohols in the first place? As we already mentioned, they do act to replace sugar, which for most people is highly attractive. 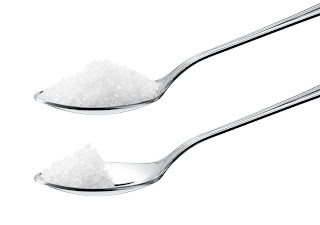 They also present fewer calories, adding only a fraction of what pure sugar would add (0.2-3 calories per gram depending on the variety), they don’t influence blood sugar levels like regular sugar does therefore, they can be a better choice for those with diabetes, and they also don’t pose the same dental health threat that regular sugar does either. In addition to these benefits, they don’t lose their sweetness when they’re cooked. This makes them more appealing than other artificial sweeteners which have a tendency to do this. They will help baked goods stay fresh longer as mold and bacteria won’t grow in foods containing them as they would in cane sugar-laden baked goods. But now comes the question that you are dying to know – are these sugar alcohols safe? Can you feel completely fine about putting them into your body? Before you go downing a whole bar of sugar-free chocolate, there are some important things to know. First, they can cause some individuals severe gastro-intestinal problems, so don’t be surprised that if your intake is higher, you will be spending a great deal of time near the bathroom. In others, they pass right through them (the side effects are definitely not pleasant.) Still other people have absolutely no issue with them. The best thing to do is to try a very small amount and see how you react. If you feel fine, eat a little more next time and continue to adjust until you are confident you won’t experience symptoms such as gas, bloating, abdominal pain, and loose stools. The second thing to know is even though sugar alcohols are recognized as generally safe by the FDA, it doesn’t mean they’re an optimal sweetener choice for you. If you look at the most common foods that contain sugar alcohols, they aren’t exactly stellar nutritional choices. That ice cream may be sugar-free, but what else is it offering you? Foods containing sugar alcohol will still add calories to your day so if you’re feasting on them, fewer calories will be derived from foods that would actually improve your health. Think of it as "caloric real estate." The flavor of “sweet” also acts as a neuro-exciter for many people, if you are constantly tasting ‘sweet," the brain will expect the calories normally derived from “sweet.” Sugar alcohols, then, can contribute to cravings for more “sweet” foods since the brain and therefore the body, did not get the calories it was expecting. Eat enough sugar-free chocolate and you might find that you tire of it (or tire of the GI distress) and go in for the real thing. Or, if you try sugar alcohol containing (sugar-free) ice cream and fall in love, how often will you choose the Greek yogurt, with all its health benefits, over the ice cream? These are hazards that come with the territory. For some individuals, adding sugar alcohol into their diet provides nothing more than guilt-free eating of foods they maybe shouldn’t have chosen in the first place. Natural sugar (not to mention the beneficial fiber) found in fresh fruit is a better choice. Now, what if you choose to include a few? Then you need to make wise choices. One of the best choices is Xylitol, which is much easier on the body to digest, and therefore won’t place much of a strain on your digestive system. In addition to that, there have been some reports that this sweetener may help to reduce your risk of tooth decay and improve bone health-other benefits to consider. Xylitol also tends to slow stomach emptying, so it may be a good choice for helping with satiety. 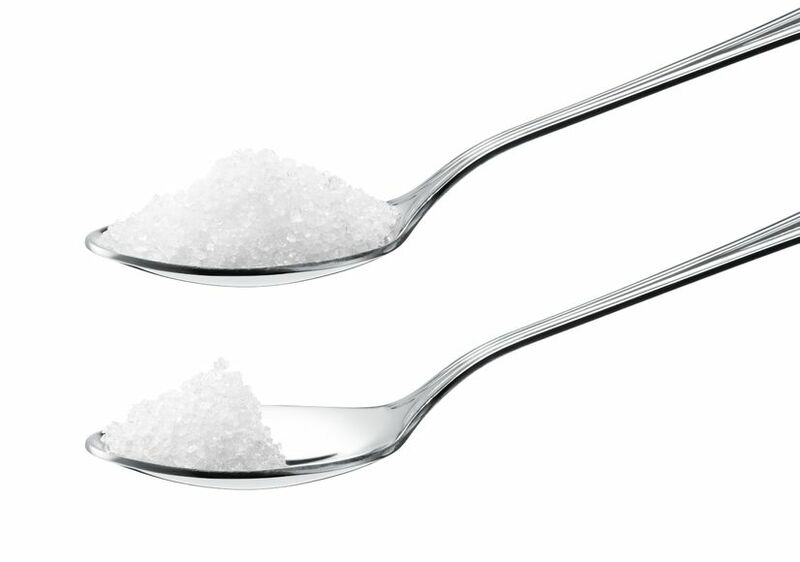 Two other sweeteners to consider; Erythritol and Stevia, which isn’t a sugar alcohol, but it is better for you than artificial sweeteners. When all else fails, go for the Demerara sugar (AKA Sugar in the Raw.) It is the most unrefined of the commonly available table sugars. So there you have the key points to keep in mind regarding sugar alcohols. While they aren’t nearly as controversial to your health as artificial sweeteners, you need to decide for yourself whether or not they are for you.